This Original Xiaomi Aqara Magic Controller has 6 kinds of gestures to control the xiaomi smart device as you want, it's convenient and just like magic. 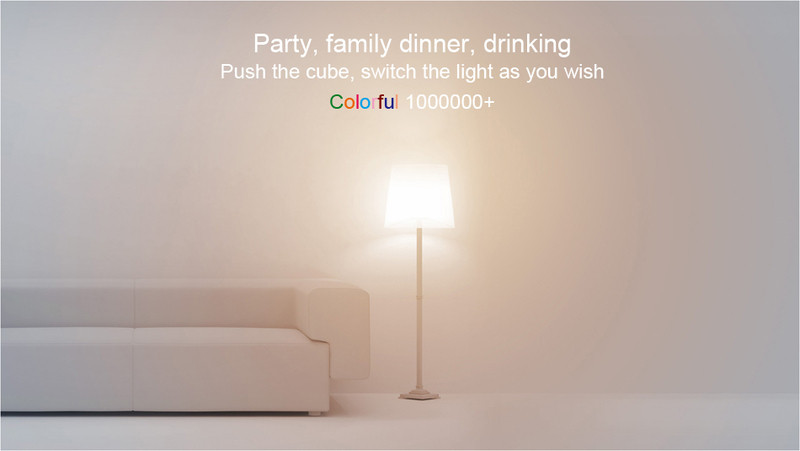 You can use it to change the color of xiaomi yeelight with one hand, turn on / off the xiaomi TV when you lie on the bed, or change the radio station randomly ect. – [ 6 gestures control style ] : Push, shake, knock twice, rotate, overturn 90 degrees, overturn 180 degrees. – [ About 1 years battery life] : 2 x CR2450 button battery (included). – [ Smart change ] : Different action can control different devices. – [ Zigbee proprietary protocol ] : Work with xiaomi mutifunctional gateway by zig.bee, make up house communication network, more stable and quickly of response. 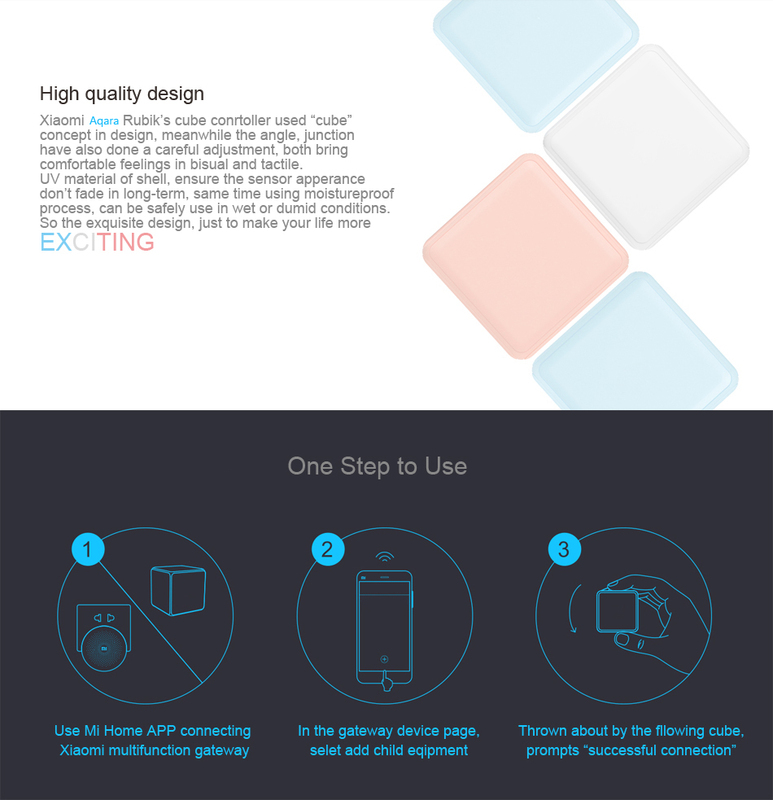 – [ Mini size and exquisite of design ] : Professional accelerometer, three-axis gyroscope all be built in so small "Rubik's cube". Durable and prevent moisture. – [ Control center ] : When connected with other xiaomi smart home products, create your own smart home network as you wish.